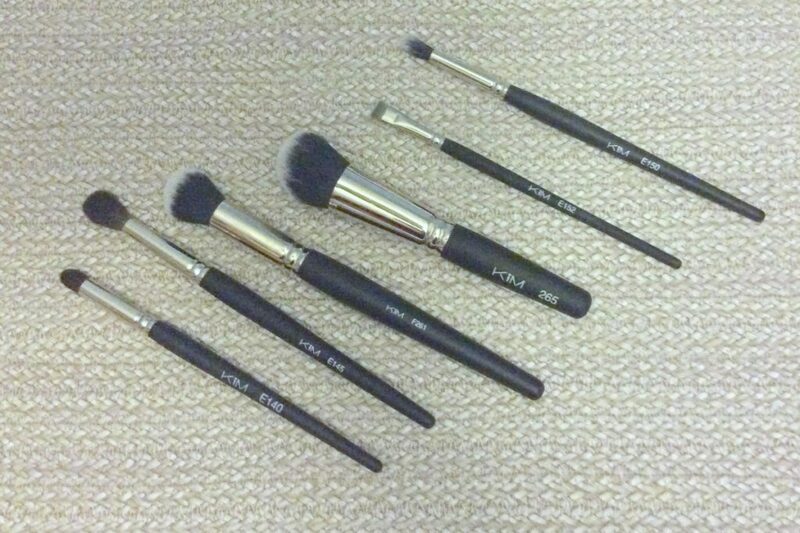 Hello my lovely readers, today’s post features several brushes I have owned and tested for several months and which I really like, the KIM make-up brushes. All KIM make-up brushes are produced by C&M Quality Brushes Ltd. an Israeli producer of art paintbrushes and professional makeup brushes. Its factory was founded in 1914 at London, England, by Percy P. Baker, a leader and pioneer among brush manufactures at that time; he created in 1914 the professional brush range for the make-up artists. All the brushes are manually hand-crafted from natural and synthetic hairs. 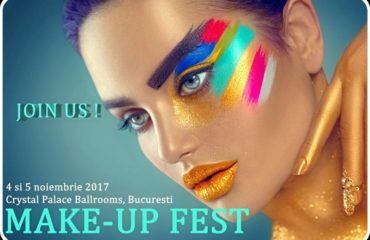 In Romania all KIM make-up brushes and Numeric Proof products are distributed by Adhara Cosmetics (adhara.ro). I own several brushes and I am happy to share my thoughts and impressions on them with you. 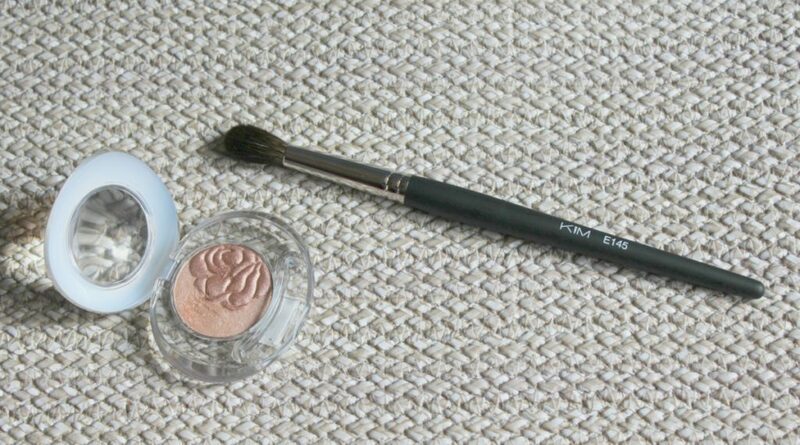 I have told you already about the KIM F227 brush I mainly use for contouring in a previous post on my make-up brushes collection. This was my very first brush from KIM and I really love it since it makes my life so much easier. I think a good make-up brush is a must! It saves both time (you get the make-up right from the beginning, you don’t need to correct or start again) and money (since it is great in quality it will last longer and you won’t have to buy another product for quite a while). Personally, I prefer to own less make-up brushes but the one I own are better in quality than the average. 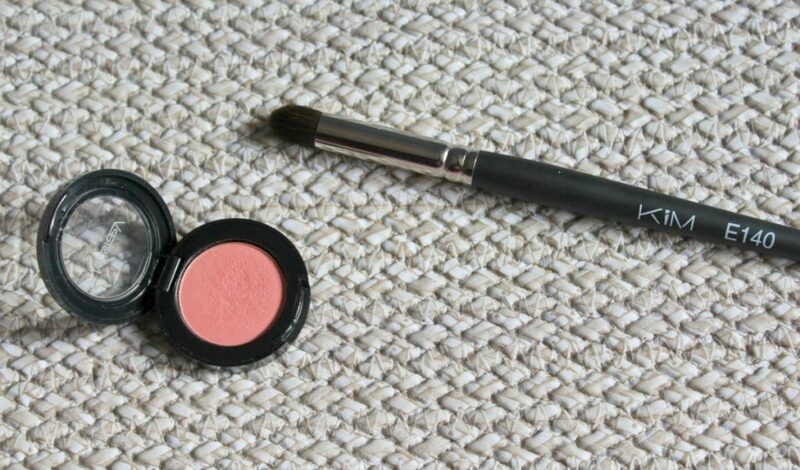 Also, I like to use my make-up brushes to the maximum, not only for the use they are intended, for example I can use my blush brush for powder, blush, highlighter, bronzer and even contouring. This way I can get the most use out of my brushes and the money I invest in them is well spent. I will share with you my impressions on the 6 KIM brushes I own and how I use them, if you want to know more about a specific one please let me know and I’ll review it separately. 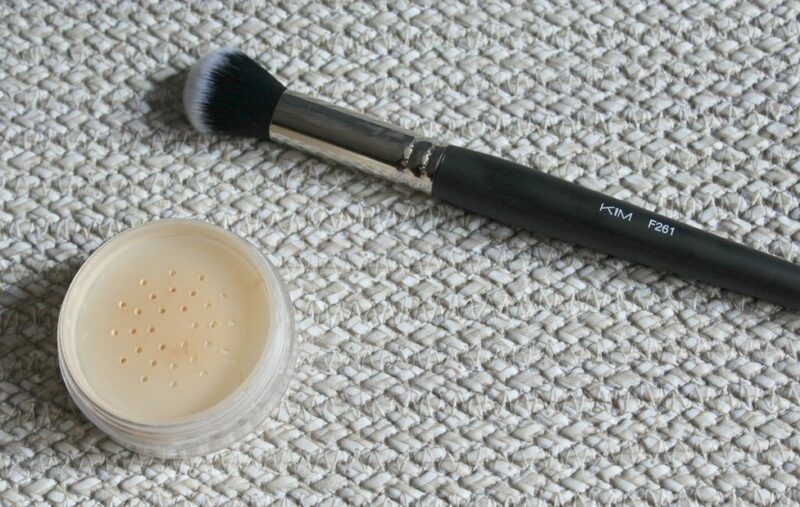 The KIM F265 brush, is described as an angular dome brush for make up and powder. It is made of the best quality synthetic hair and has a nickel quated ferrule and a wooden handle. Price around 139 ron. I prefer to use this angular dome brush mainly to apply my foundations. It works perfectly with my liquid foundations long-lasting or not and my BB creams. It has very soft hairs, which I adore, I feel it caresses my face as I apply the foundation. It applies fast and evenly the foundation on the skin, this is why it become very fast my favorite foundation brush. I have a similar one from Sigma similar in shape but not as soft so it became the second choice for me. It also can be used for applying powder on the face, for contouring or bronzing, for the application of highlighter or blush. I really like its versatility it is definitely worth investing in one! 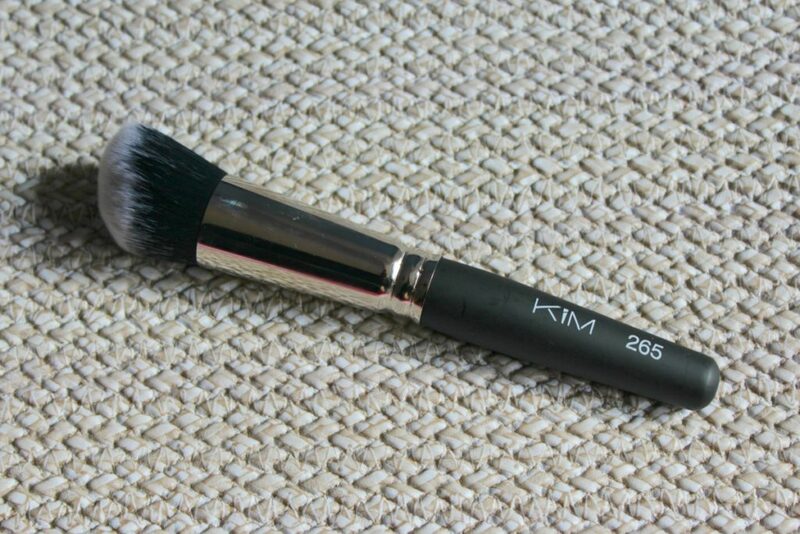 The KIM F261 brush, is described as a small flame brush for mineral and wet make up. It is made of the best quality synthetic hair and has a nickel quated ferrule and a wooden handle. Price around 77 ron. I like to use this brush to set my concealer under the eye mainly or in very targeted areas of the face. It is also very soft and quite suitable for applying the contour very sharply on the face. It can also apply highlighter in specific areas, it does not create a diffused effect on the face. It can also apply blush and build it for a bolder look. The KIM E140 brush, is described as a Squirrel hair dome brush for blurring the eye shadow. It is made of the best quality Squirrel hair and has a nickel quated ferrule and a wooden handle. Price around 85 ron. It is a bigger rounded pencil-type eye brush. I own two smaller ones but I wanted a larger one for a more diffused application or blending of the shadow in the crease. Like the other KIM brushes I own, this one is also very soft, its bristles do not scratch the eye, they glide gently over the lid and with a soft rounded movement it blends very well the colors onto the eye. 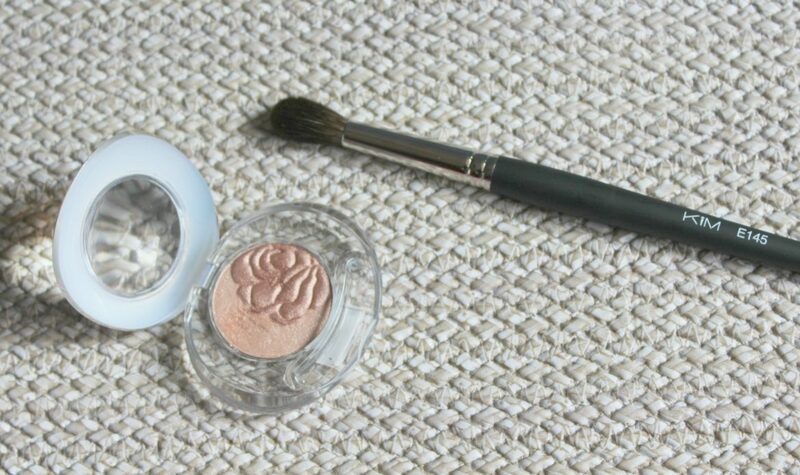 It can also be used to apply the shadow into the inner corner of the eye, it can be used to blend the concealer under the eye and to pinpoint conceal in very small and specific areas of the face. I really love the pencil-type brushes, you cannot do an eye make-up look without one! The KIM E145 brush, is described as a very fine, large squirrel concealer brush. It is made of the best quality Squirrel hair and has a nickel quated ferrule and a wooden handle. Price around 99 ron. When I saw this brush at Make-up Fest I imagined it as a large blending brush. 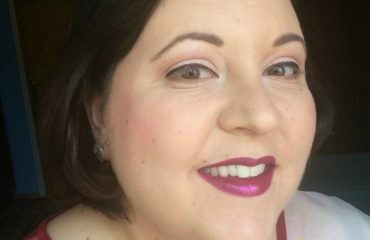 I am a huge admirer of Lisa Eldridge, the talented and beautiful UK make-up artist and she uses a very large blending make-up brushes from a brand I cannot access in Romania with an amazing fine blending effect. I wanted this kind of brush for a long time and when I saw the E145 I knew I had to have it! Yes, it is quite large and fluffy for an eye blending brush but I saw Lisa’s final effect on the eyes and it works! I love its soft, diffused effect on the eye shadows (also due to its soft hairs). 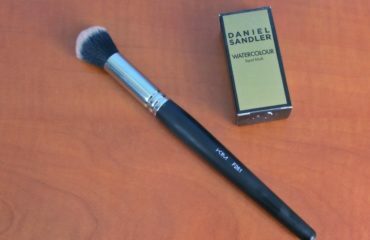 I also use this brush, surprisingly for blending the concealer under my eyes, as recommended. It can also be used to set the under eye concealer with powder and apply highlighter in small, specific areas of the face. 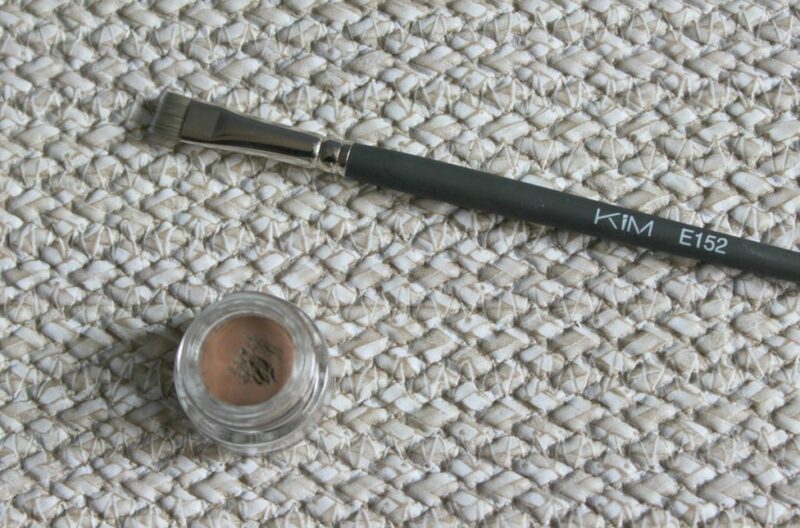 The KIM E150 brush, is described as a mixture hair concealer brush. It is made of the best quality mixture hair and has a nickel quated ferrule and a wooden handle. Price around 62 ron. As you can see in the image above there are two types of bristles, the white ones are in the middle and the black ones are on the exterior. The feel of this brush is slightly harsher, the bristles are not as soft as the previous ones, they are not so easily bendable, they are stiffer so that they can blend the not so creamy types of concealer under the eye. Personally I prefer to use this brush for pinpoint concealing. The bristles are a little too harsh for my eyes. 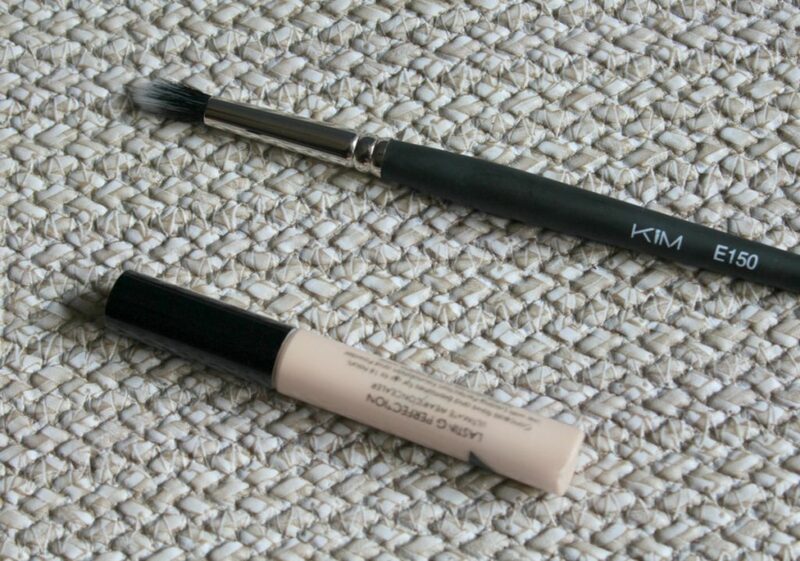 I use hydrating, creamy concealers so I can use the KIM E145 easily to blend them under the eyes. For pinpoint concealing the KIM E150 is perfect. Due to its rounded shape it softly blends the concealer into the surrounding area for a natural effect. The KIM E152 brush, is described as a flat, detailed work brush. It is a narrow, extra-firm brush, for the concise application of eye shadows. Ideal for very fine detailed work. It is made of the best quality synthetic hair and has a nickel quated ferrule and a wooden handle. Price around 52 ron. Due to its extra firm bristles and flat shape it can have many uses. I like to use it for many things, to add color over the eye crayon under or over the eyes, to line with eyeliner gels, to apply color over the lid on specific areas. It can also be used to blend concealer or pinpoint conceal on detailed areas of the face. It can also be used as a lip liner to blend the lip crayon or apply the lipstick over the lips. As you can see almost all my KIM brushes can have many uses. They are one of the best quality brushes I have ever had, they did not shed or lose color when washed. They dried very rapidly, even the face brushes. They are easy to use and very soft (the majority of my brushes), they are a pleasure to work with. They are slightly longer than my Sigma brushes but I got used to them rapidly.